The Toyota Supra is a two-door hatchback sports car now in its fifth generation. It returns as a 2020 model after a 21-year hiatus. This time it's developed as a partnership between Toyota Gazoo Racing and BMW. Like Supras of the past, the new Supra is powered by an inline-6-cylinder engine. 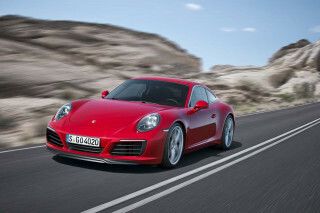 A 2.0-liter turbo-4 is also expected, and a manual transmission may also be in the works. 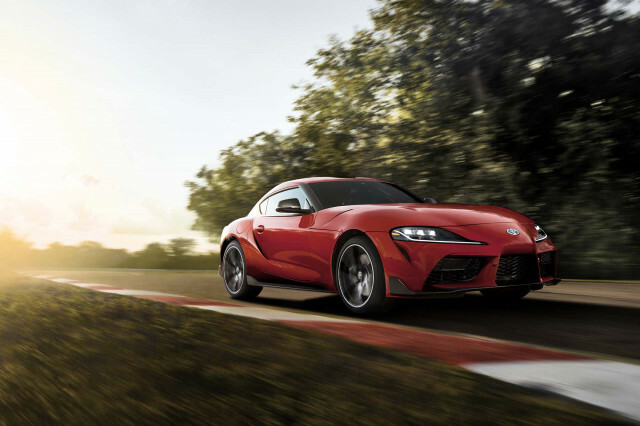 The Supra is the second sports car in the Toyota lineup, joining the 86, which is smaller, less powerful, and has four seats instead of two. The 2020 Supra rides on a new structure that Toyota says provides a perfect 50/50 weight balance and a low center of gravity. It uses aluminum components in the front MacPherson strut suspension and five-link rear suspension to save weight. It uses adjustable adaptive dampers to improve both ride and handling. An active rear differential help control the power distribution. This engine at launch is a BMW-sourced turbocharged 3.0-liter inline-6 that makes 365 horsepower and rockets the Supra from 0-60 mph in an estimated 4.1 seconds. 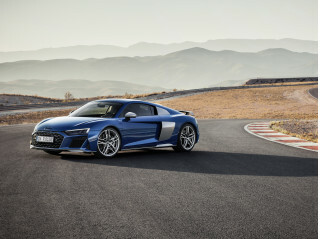 It is backed by an 8-speed automatic transmission and power flows to the rear wheels. The Supra tops out at an electronically limited 155 mph. The look takes its basic shape from the fourth-generation model of the 1990s, but it has more organic scoops and flares. The shape is sports car all the way, though, with the traditional long hood, short deck, and low stance. Toyota will offer the Supra in 3.0, 3.0 Premium, and Launch Edition models initially. Base equipment will include a 6.5-inch center screen for infotainment, Alcantara-upholstered seats with memory, Bluetooth, and dual-zone automatic climate control. The 3.0 Premium and the Launch Edition models will add an 8.8-inch touchscreen, heated leather seats, Apple CarPlay, a 12-speaker JBL audo system, and wireless phone charging. 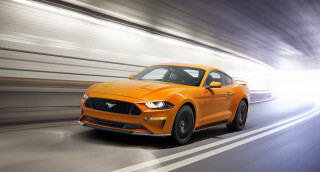 Standard safety features will include forward-collision warnings with automatic emergency braking and pedestrian detection, active lane control, and automatic high beams. Buyers will also be able to opt for adaptive cruise control, blind-spot monitors with rear cross-traffic alerts, and rear-end collision warnings. The 2020 Toyota Supra launches this summer with a starting price of $49,900, plus destination. The first 1,500 will be Launch Edition models—offered in Absolute Zero White, Nocturnal Black or Renaissance Red 2.0—for $55,250. Initially a spin-off of the Celica lineup when it was new for 1978, the Supra was powered solely by an in-line 6-cylinder engine in its first four generations. In later years, it evolved into a sporty competitor for the likes of the Nissan 300ZX and Chevy Corvette, before it was dropped from the Toyota lineup in 1998. The first-generation Supra evolved from the contemporary "beetle-backed" Celica. It shared most of its hatchback styling with the Celica of that era, but the front end was lengthened to accommodate a 6-cylinder engine (the Celica was powered by 4-cylinder engines). Over the course of its first few model years, the more luxurious Supra was offered with a choice of either a 5-speed manual or a 4-speed automatic. With the second generation Supra, Toyota adopted a deeply wedged design for both the 6-cylinder hatchback and for the 4-cylinder Celica, which also added a convertible version and a notchback body style. The Supra had grown wider and larger, and was sold in sporty and luxury editions; leather upholstery and digital gauges were available, and front-end styling differentiated the Supra (known for a time as the Celica Supra) from the Celica itself. With a 2.8-liter inline-six with about 145 horsepower, an independent suspension and a choice of 4-speed automatic and 5-speed manual transmission, this Supra wasn't particularly fast, but its durability and comfort put it in a competitive class with cars like the contemporary Nissan Z and Ford Mustang. The Supra finally gained some distinction from the Celica in its third generation. The Celica coupes and hatchbacks were switched to front-wheel drive, but in 1987 the third-generation Supra retained rear-wheel drive when it was heavily redesigned with a sleeker, more rounded form. The inline-6 was upgraded to 3.0 liters, and optionally, with turbocharging; power initially ranged from 200 to 230 hp, with a choice of 4-speed automatic or 5-speed manual transmissions. This generation of the Supra would add a targa top, a limited-slip differential, and anti-lock brakes, as it quickly transformed into a true grand-touring hatchback. However, the arrival of new sports cars—the Nissan 300ZX and Mazda RX-7—hastened this generation's demise, and triggered the development of a fourth-generation Supra more aggressive than any before it. With the final production Supra, Toyota committed fully to the grand-touring arms race. The dramatically more powerful Supra had morphed into something like Porsche's 928; its inline-6 was available in normally aspirated form with about 220 horsepower, or twin-turbocharged form with about 276 horsepower. Straight-line performance was scalding: the bulbous new Supra could turn in 0-60 mph times in the mid-4.0-second range, and top speed rose to more than 170 mph. Handling was vastly improved, as was tire size; the Supra was far from the flyweight tossability of the RX-7, more like the hefty 300ZX in its steering and ride quality. Curb weight had grown to nearly 3,500 pounds. The Supra's appeal never regained its past luster, though: sales slowed to the point that only the automatic, twin-turbo car was produced. The fourth generation died off in 1998, leaving a long gap before the fifth generation.